From high above Trail Ridge Road on a cold February morning, the fog sifts in and out of the icy forest below in Horseshoe Park. 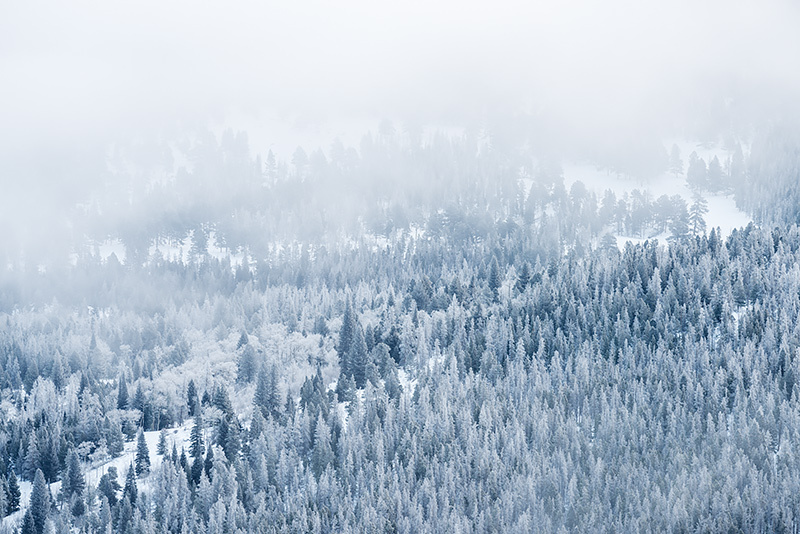 A winter storm has covered Rocky Mountain National Park in fog, snow and ice coating all the pines in a silvery ice. As the fog and snow would move in and out of the scene, the forest would reveal more of its snow covered wonderment only to have the fog move back in and completley envelop and cover Horseshoe Park again. Photo © copyright by Thomas Mangan.